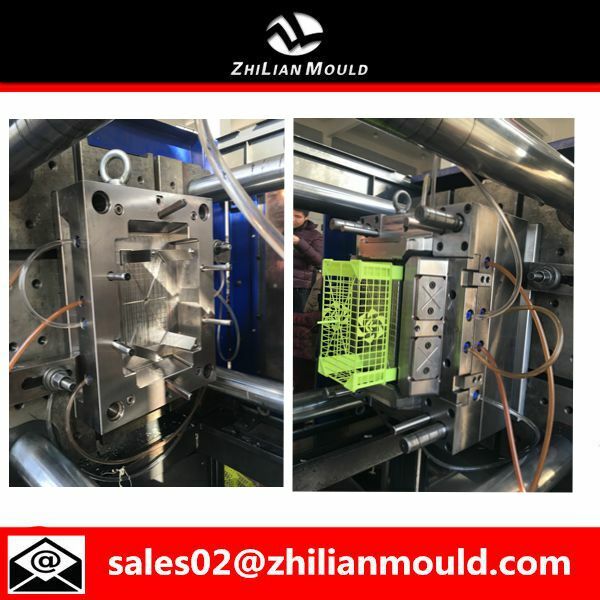 Zhilian mould is a professional manufacturer for plastic crate mould,we supply vegetable plastic crate mould,meat plastic crate mould,fish plastic crate mould,fruit plastic crate mould,bottle plastic crate mould. As a rich experience plastic crate mould maker,We offer best plastic crate mould design with best cooling system.We supply high quality and best solution of plastic crate mould. 5. After-sales Services: Provide spare parts free of charge within one year. For plastic crate product,it requires good outlook,nice design,some also need consider reduce the product weight to save material cost. plastic crate have different size,we use good material for it.cooling system or hot runner system well designed.The action of plastic crate mould trial is very good and smoothly. Zhilian mould is the plastic crate mould maker you could trust.We will offer you good mould design,best technical support and wonderful mould service.Thanks.